Desperate to forget her controlling ex fiancé and have a fresh start, Claire goes to Italy to write about how the Italians celebrate Christmas. Leo has his own troubled past to overcome, but when he rescues Claire from the rain and takes her home to meet his daughter, the magical Italian Christmas offers them both a second chance at happiness. Claire’s gaze rose to the looming presence of the sleeping volcano silhouetted against the blue sky. The Romans who’d lived here must have thought their way of life was permanent, but Vesuvius had swept away everything they knew and destroyed a thriving port city and the surrounding towns in a matter of hours. It was a sobering thought. She lifted a hand and touched his fingers. Here, where the echoes of the past whispered around them, reality felt fluid, unfixed. Anything seemed possible. If life could be swept away so easily, she should grab what she wanted while she could. She’d been raised to be ultra cautious and obey the rules. Jonathan had tried to keep her on that track, but so far that had only made her miserable. She turned in the enclosed space and rested her palms on Leo’s chest, feeling the steady beat of his heart. He must have women come on to him all the time because of his looks and his money. “I don’t expect anything from you.” She didn’t want him to think she was just interested in what she could get out of him. She trailed her fingertips along his jaw, the slight roughness sending streaks of sensation up her arm. His fingers slid into her hair and she turned her face up to him. His breath brushed her lips, then the warm press of his mouth made her eyelids fall as she lost herself in the kiss. If she could have one wish this Christmas, it would be to swap her troubled life for this enchanted existence with Leo. Buy the other books in the Sweet Italian Christmas series! Emily has everything ready for the birth of her baby—the only thing left to do is tell the father! It was love at first sight for Emily when she met gorgeous Italian businessman, Savino Marin. She was sure he felt the same, until he walked away from her without a backward glance. But he left something behind and eight months later Emily decides she must tell him she’s pregnant before his baby is born. She prays he’ll want to be a father to his child, but she has no intention of renewing their relationship. He broke her heart once and she won’t let him close enough to cause her pain again. But Savino knows exactly what he wants, and he’s used to getting his own way. One phone call and the threat that has hung over Gina Marin’s head for six years becomes reality. Her mafia ex is out of prison and on the hunt for her. She has to get out of Naples for a few weeks, and gorgeous Seth Trevathan offers her sanctuary at his farm. Gina entrances Seth. She is beautiful, vivacious and totally not his type. He’s a country boy, ex-military, and used to getting his hands dirty. A fashionable, high-maintenance girlfriend is the last thing he wants. But he soon realizes Gina is not who he thought, and he’s in danger of losing his heart. Helen Scott Taylor’s first novel, The Magic Knot, won the American Title contest in 2008, was a Golden Heart® finalist, and was chosen as one of Booklist’s top ten romances of 2009. Since then, she has published other novels, novellas, and short stories in both the UK and USA. Her published works have been finalists in a number of contests including the Holt Medallion, the Lories, the Prism Contest, the Write Touch Award and the Maggies. 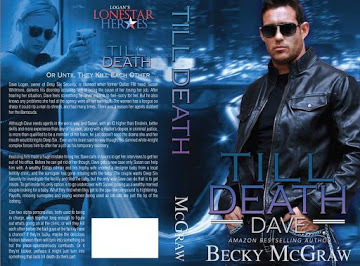 Dave Logan, owner of Deep Six Security, is stunned when former Dallas FBI head, Susan Whitmore, darkens his doorstep accusing him of being the cause of her losing her job. After hearing her situation, Dave feels something he never expects to feel–sorry for her. But he also knows any problems she had at the agency were all her own fault. The woman has a tongue so sharp it could rip a man to shreds, and had many times. There was a reason her agents dubbed her the Barracuda. 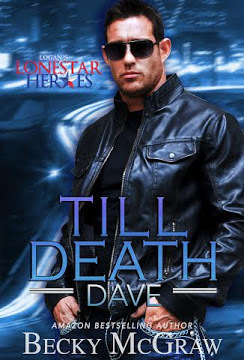 Although Dave needs agents in the worst way, and Susan, with an IQ higher than Einstein, better skills and more experience than any of his men, along with a master’s degree in criminal justice, is more than qualified to be a member of his team, he just doesn’t need the drama she and her mouth would bring to Deep Six . Even as his brain said no way though, his damned white-knight complex forces him to offer her a job as his temporary secretary. Realizing he’s made a huge mistake hiring her, Dave calls in favors to get her interviews to get her out of his office. Before he can get rid of her though, Dave gets a new case only Susan can help him with. A wealthy Dallas oilman and his trophy wife ordered a designer baby from a local fertility clinic, and the surrogate has gone missing with the baby. The couple wants Deep Six Security to investigate the facility and find the baby, but the only way Dave can do that is to get inside. To get inside his only option is to go undercover with Susan, posing as a wealthy married couple looking for a baby. What they find when they get to the spa-like compound is frightening. Payoffs, missing surrogates and young women being used as lab rats are just the tip of the iceberg. Can two alpha personalities, both used to being in charge, work together long enough to figure out what’s going on at the clinic, or will they kill each other before the bad guys at the facility have a chance? If they’re lucky, perhaps the delicious friction between them will turn into something so hot the place spontaneously combusts. Or if they’re luckier, maybe it will turn into something which might just last till death do them part.